Community Spotlight is a regular feature which highlights and celebrates amazing fan projects in the Remedy community. In 2018 we switched things up a little with each month having its own spotlighted fan and fan project. This year we're continuing the tradition, and for March, I had the opportunity to talk to Dasha, an amazing artist based in Russia. Today I'm excited to talk about Dasha's incredible work. She is such a wonderful person and clearly passionate about her art! She's probably one of the most active fans in the Remedy community, and over the past several months has created amazing pieces, carefully considered and packed with dedication. In addition to having a fan here, she has also caught the attention of Remedy's Creative Director, Sam Lake, and Quantum Break's Lead, Shawn Ashmore. 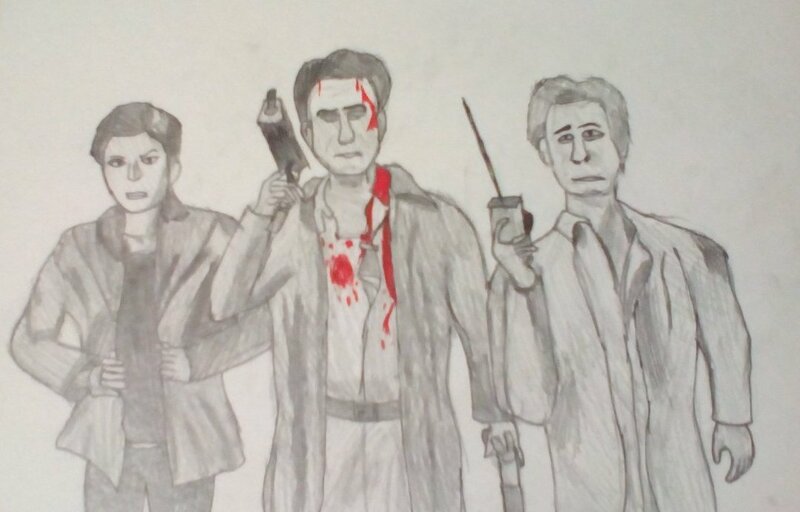 Dasha's artwork inspired by Max Payne 2: The Fall of Max Payne. Her work has included pieces inspired by Max Payne, Alan Wake, Quantum Break, and lately Control. While she's a fan of Remedy's work, she became a fan slowly over time and it was with the Max Payne series that something clicked. It's no surprise then that her work has generally centred around Max's adventures. At the age of sixteen, she has already established her own impressive recognisable style, dark and oozing with mystery. Although armed with her style, she also continues to experiment with different techniques to keep that creativity alive. In her work, colour is frequently kept to a minimum to really make an impact when used, creating some amazingly atmospheric pieces. Most of her work consists of pencil sketches, sometimes highlighted with red ink but with careful rarity to keep the impact. On occasion, she also uses negative space, playing with striking contrasts and bold eye-catching lines. Away from her own projects, she is very supportive of the Remedy community and projects, particularly of like-minded Max Payne fans. And outside of this community, she has also created amazing artwork based on Deus Ex: Human Revolution, The Cat Lady, TellTale's The Walking Dead and a lot more. Recently, Dasha kindly found a gap in her studies to talk to us about her atmospheric artwork. Check out our conversation below! I am an ordinary person. I'm a schoolgirl. In fact, I recently turned 16 years old. I have many interests that are constantly changing. But drawing [has been something that] I have been doing for a very long time, since my early childhood. I am still interested in it. But it always seems to me that my artworks are not very high-quality and that other people are better than me. 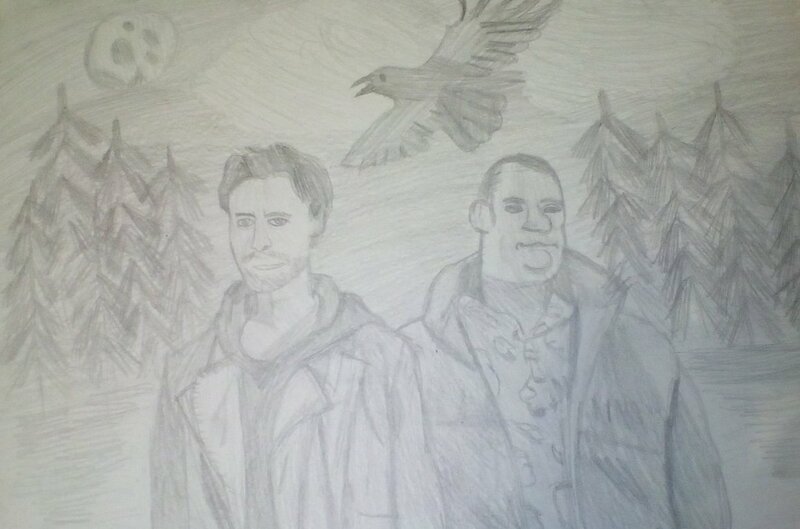 Alan Wake fan art starring Alan Wake and Barry Wheeler. I love art since childhood. But I never stood out for their creations in art school. Believing in my own strength was helped by the fact that I in the Remedy community. It's nice that there are people who like my work. How did you develop your style? Were there any artists that inspired you along the way? 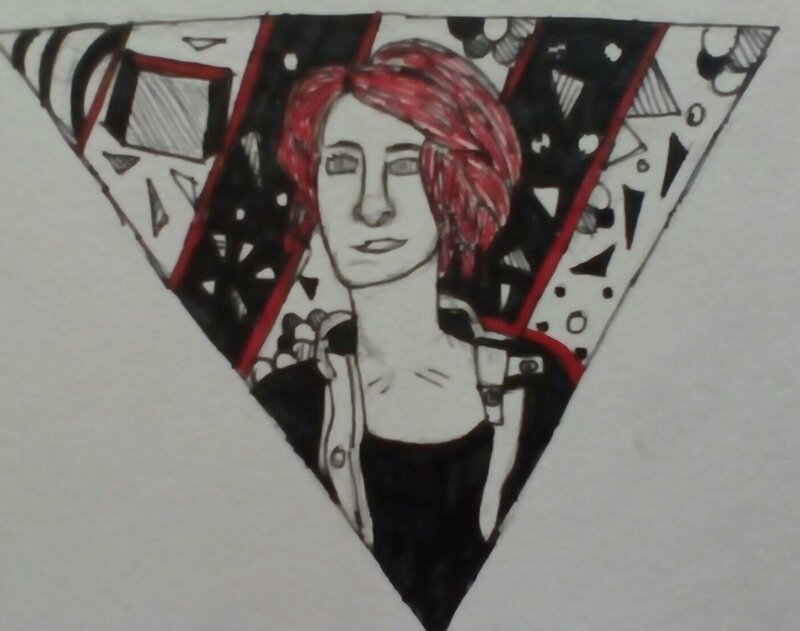 Honestly, I do not remember how my style developed. For a long time, I did not like it at all and could not draw people. I drew only animals. I started learning how to draw people when I started playing video games. To be honest, I was inspired by the works of some people from the Remedy community. Their works seem unreal cool and beautiful to me and to the skill of many of these people are far to me. I once found out about the game Alan Wake. The game didn't interest me and I quit playing it. About a year later, I was very interested in Max Payne and Max Payne 2. After I finished playing these games, I wondered what games Remedy had created. That was my return to Alan Wake. Later I played Quantum Break when I got a fairly powerful laptop. What made you decide to create artwork for the games? I saw the works of other guys from the Remedy community. I decided to take a chance and try my hand. Surprisingly, my works were even perceived a little. And then there was a lot of my artworks. Probably so much that they are all tired of my creations. What are you looking to most in Control? Control was able to interest me with its story. Moreover, the developers have promised a variety of gameplay. In video games now this is very lacking. But the game promises to be a horror. I am afraid to play such games. I do not even know if I can complete this game to the end. But I think it will be interesting anyway. Thank you to Dasha for taking the time to talk to us! You can follow her adventures and artwork on Twitter!